Make-Model : VW SHARAN on 2010. Strong Heavy Duty Crossbar. 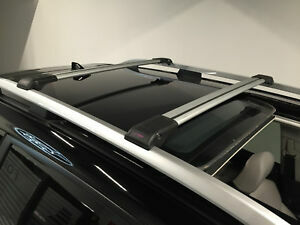 Made from strong aluminium light weight material these cross bars have ABS strengthened ends that will attach to original car rails on the roof of the car.